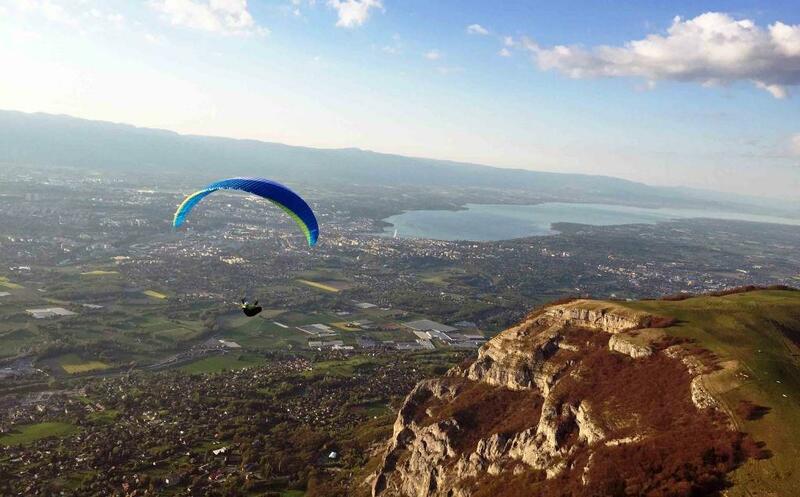 Just 10 minutes away from Geneva, an instructor waits for you on the Salève for an unforgettable flight with a spectacular view of Geneva, the Lake and the Alps! Harnessed by your pilot who sits behind you, you will feel fear as delicious as light invading you. Take-off is very easy. It starts on a field with a soft slope on witch you run down. 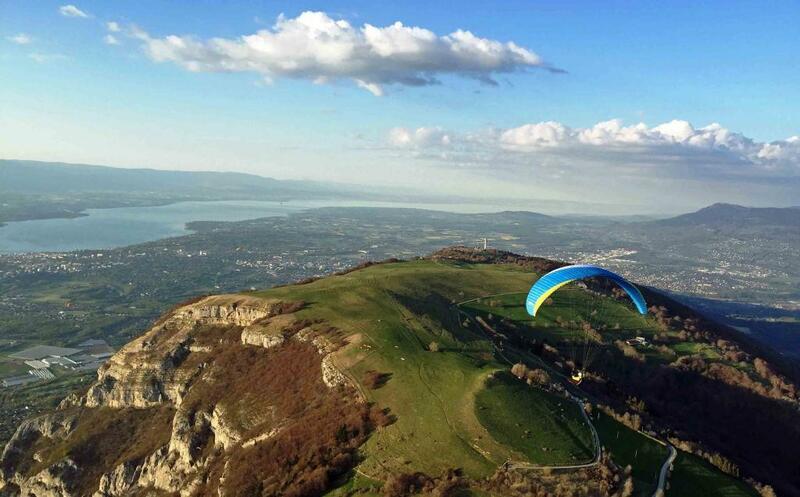 You fly safely over the gentle sloop and then will reach the edge of the cliff… where you will rise, admiring Geneva, its blue Leman Lake, and the Alps Mountain Chain dominated by Mont-Blanc. Geneva is dominated by a steep mountain called Salève. Every afternoon, if the weather is good, the sun beams on the limestone cliffs creating important thermal winds (thermics). 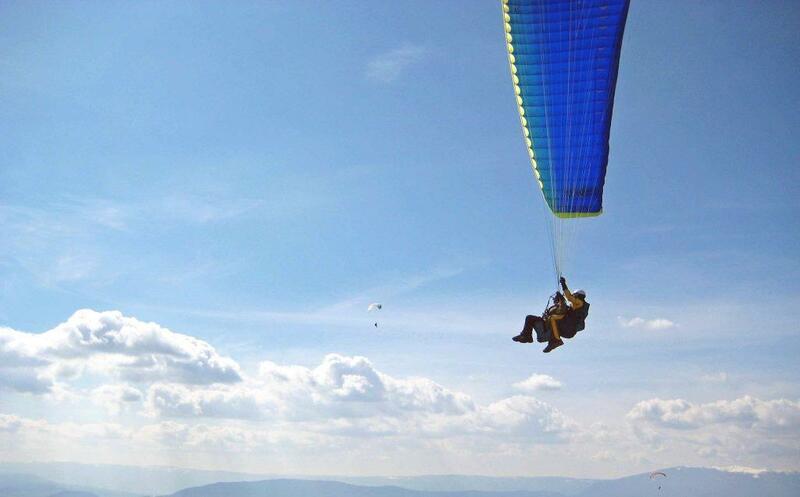 If the wind is favorable, it is the best moment to make a long paragliding tandem flight. Time: Everyday (booking only), depending on the weather conditions. Equipment: You are kindly requested to bring sun glasses, good shoes and warm clothes. The rest of the equipment (harness and helmet) is provided. Activity offered in partnership with an independant guide.